I present you the real and properly done “Tacos de Carne Asada” yes! These little beauties are just done the way the taqueros (a man that works in a taqueria) make them, with all the trimmings and the spicy salsa. 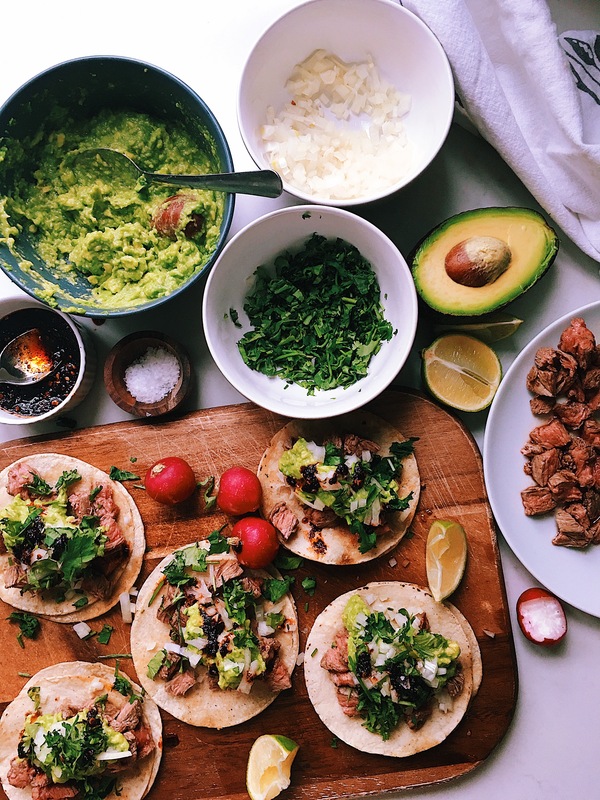 These are the tacos that a lot of Mexicans miss while living abroad and it is kind of almost impossible to replicate that special flavour that these tacos have when they are done in a real taqueria, but believe me with this recipe you will be very surprised and you will love them. For this recipe I bought Bavette Steak, which, according to my local butcher, it is the closest thing to “Arrachera” which is the meat we use in Mexico for these tacos, but you can also use any other steak cut that you prefer. There is nothing better than these tacos, they are everybody’s favourite and they are just pack with Mexican flavours. To marinate the meat, first we need to tenderised it. Put the steaks between two cling films and hit it. Once tenderised, put it in a plastic bag or bowl and add the shredded onion, orange, beer, garlic salt, black pepper and salt and leave to marinate in the fridge for at least 2 hours before cooking or you can even leave it since the night before. Chopped all the veggies, onion, coriander and make your spicy salsa, here in my blog you have some recipes, just look in the searching tab for salsas. To make the avocado, cut them, remove the stone (keep the stone aside) then remove the pulp and put it in a bowl. 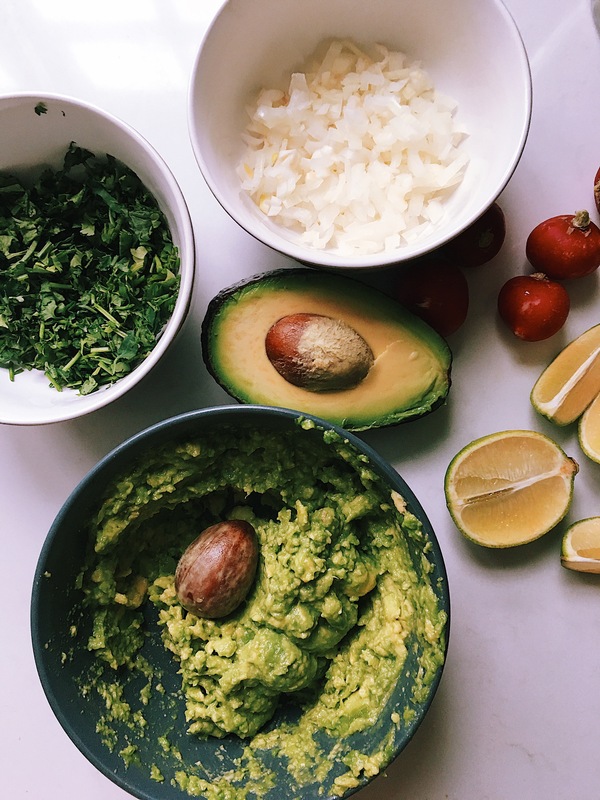 Mash the avocados very well and add some water, lime juice and salt and add one avocado stone to avoid the avocado goes brown. Wash your radishes and then fry the steaks. I fried mine in a skillet pan, but ideally it is done in a bbq with charcoal. Fry the meat for 4 min on each side and then leave it to rest for 2 min. Chop it and leave aside. Eat the tortillas in the same skillet where you fried the steaks. When everything is ready, just make the tacos. Take two tortillas add meat, then avocado, onion and fresh coriander. Top it up with spicy salsa and squeeze of lime. Enjoy them with a nice cold beer and if it is summer, fry the meat in the bbq and enjoy the sun!